Caring for a loved one with cancer is tough. Doing it alone is overwhelming—especially when that loved one is a child. But ever since Ken Brighton’s partner left him, Ken has spent his days at the hospital with his daughter, Hanna, hoping for a miracle. Maybe the mysterious care packages that appear for Hanna don’t qualify, but they bring a spark of hope into his and Hanna’s tired life—and so does Ken’s neighbor, former singer Patrick Flaherty. For two years Patrick hasn’t been able to focus on anything but the life he should have had. An injury robbed him of his voice, and the idea of introducing himself to new people intimidates him. But over the past months, he’s watched as his neighbor nursed his sick child, and once he meets Ken, Patrick starts to crave a life with him—a life he isn't sure he can have. Ken doesn’t realize he’s fallen in love until the doctors send Hanna home, saying there’s nothing more they can do: Hanna will either recover or succumb. Ken’s heart is set on a new beginning—with both Patrick and Hanna. But Patrick's silence leaves Ken wondering what Patrick wants. This book is emotional – get the Kleenex at the ready. Whew! I should start by saying that I love Andrew Grey's writing. This did not disappoint. I was intrigued from the very beginning, one, because here is a non-traditional family who is struggling, and two, because right off the bat, I hated Mark. Ken is an artist who decided that he wanted to adopt Hanna. I love their connection. It is very genuine and loving, there isn't a lot of dialogue about how they became a family, because it doesn't matter – they are one. When Hanna becomes ill, you can see the dedication that Ken has for her. Then you have Patrick. He was injured and lost his ability to speak. Because he was an adult when this happened and had a budding career, he has kind of shut himself out of the world. Hanna and Ken's kindness help bring him back in to the living. He is gentle, kind, an amazing friend, and someone who both Hanna and Ken can count on. There are some slight miscommunications in this book – sometimes they are warranted and sometimes not, but nothing so overt as to detract from the story. This book brought tears to my eyes and the way that Grey describes Ken's ability to capture someone in his art – I can truly see it for myself. Also, the relationship that develops between Patrick and Ken is beautiful – a shoulder to cry on, a friend, a lover – all of these encompass their relationship. I can't wait to see what happens for the other stories in this series – especially since there are not too many characters mentioned. 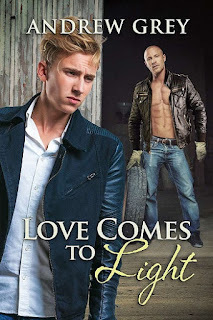 Reviewers on the Wicked Reads Review Team were provided a free copy of Love Comes Silently (Senses #1) by Andrew Grey to read and review.